Warner Home Entertainment has announced the release of Star Wars: The Clone Wars on Blu-ray Disc. Join Obi-Wan, Annakin and new Jedi padawan Ahsoka as they trace the disappearance of Jabba the Hutt’s son Rotta. The high-definition disc and standard DVD will be released on November 11. The Blu-ray disc will be formatted in 1080p/VC-1 video and Dolby TrueHD 5.1 Surround audio. 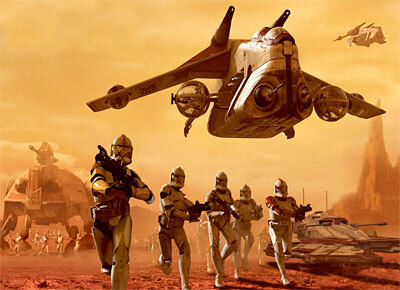 Extras include “Clone Wars: The Untold Stories” which is a preview of the first season of the TV show. You also get an interactive game and picture-in-picture commentaries. The Blu-ray disc is priced at $38.96 MSRP. 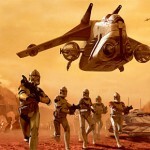 The recent film release of ‘Clone Wars’ in August did not produce nearly as much hype or success as Episodes 1-6, but surely generated enough anticipation for the upcoming television series to give the show a well received launch. Star Wars: The Clone Wars will debut on the Cartoon Network in high definition (HD) on October 3. Do you want to see the latest movies in the best quality HD Trailer.